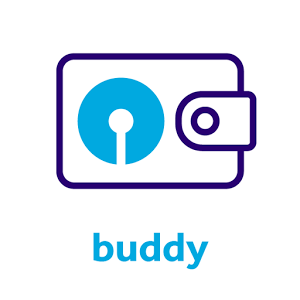 All the latest SBI Buddy App Offers are given here on our page. So, you can click on it to see the trending deals and offers. SBI Buddy has started by State Bank Of India. It is like a mobile wallet on your smartphone. You can perform numerous transactions via SBI Buddy App anytime, anywhere. It allows you to send or ask money from anyone either they have an SBI Account or not. You just have to download SBI Buddy App in your mobile as available for both Android and iOS users. Android users can download the app from Google Play Store whereas App Store is there for iOS users. How does SBI Buddy Works? Primarily, you need to download the app in your smartphone to get started. Now, New users have to Sign up by filling up your personal details. You can also Sign Up via your Facebook Account. Old users have to Sign in on the App. You need to enter your secret PIN every time to access the application. So, now you can enjoy all the exciting features of SBI Buddy. What are the Features on the State Bank Buddy App? 13 Languages: It allows you to choose your preferred language for using Buddy. State Bank Buddy is available in 13 languages which includes English, Hindi, Gujarati, Bengali, Assamese, Kannada, Marathi, Punjabi, Tamil, Urdu, Telugu, Malayalam and Oriya. Send Money: You can transfer money in seconds via SBI Buddy to your contacts. Simply, select the contact, enter the amount and security pin. Ask Money: You can also ask for money when in need. You can raise requests for money instantly and it will send a reminder to your selected contact. Recharge & Pay Bills: You can also recharge your mobile and DTH and pay your electricity and gas bills as well instantly on Buddy. Simply select the Recharge & Bill Pay option from the app. Flight & Hotel Bookings: It allows you to book your flight and hotels too. You can use your wallet balance to make the payment of your bookings. Movie Tickets: If you want to watch movie, then you can book movie tickets with your buddy mobile app. The Movie tab is given in the Shop and Earn Section. Full KYC: You can also fill the KYC form to upgrade your wallet balance. You can enhanced wallet balance to Rs 50000. The transaction limit is Rs 50000/day and Rs 100000/month. This feature is available exclusively for SBI customers.